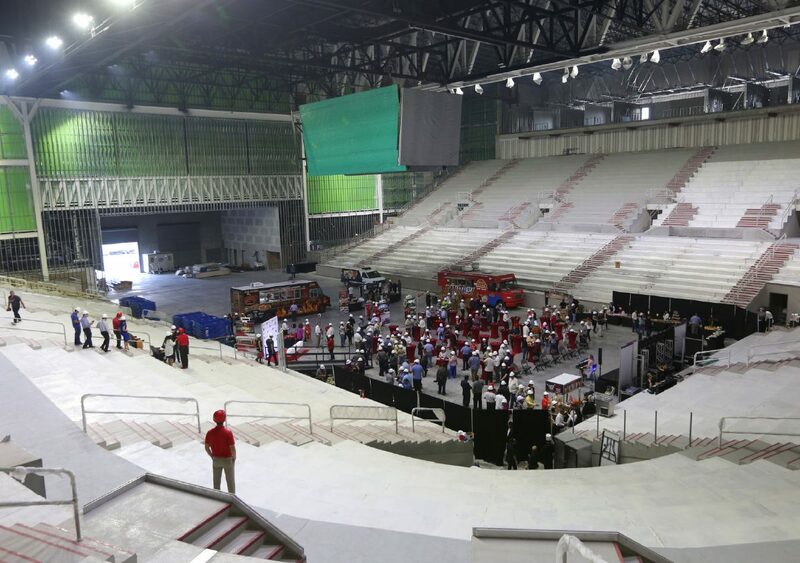 People walk through the Bert Ogden Arena during a tour of the facility that is still under construction on Wednesday, April 18, 2018, in Edinburg. EDINBURG — The city did not deny the new Bert Ogden Arena a certificate of occupancy because the contractor has yet to apply for one, City Manager Pilar Rodriguez said Thursday in an attempt to correct what he called misinformation. On Tuesday, a local blog known as Valley Delta published letters the city sent to Cantu Construction appearing to indicate that the contractor for the arena had failed to acquire a certificate of occupancy after a July 18 walkthrough of the facility. Without a certificate, the arena cannot open its doors. Instead, the walkthrough by the Edinburg Fire Marshal, the chief building official, and the planning and zoning department was a proactive effort on the city’s behalf to ensure that the facility was on track to open its doors later this month. Arena officials hope to obtain a certificate before Aug. 31, when Mexican pop star Luis Miguel is scheduled to christen the building with his performance. The $88 million arena is being constructed through a public-private partnership between the city and Vipers Arena LLC, which is owned by Alonzo Cantu. Cantu is also the owner of Cantu Construction, which is the arena’s contractor. All three entities have been coordinating to ensure all code requirements are met.